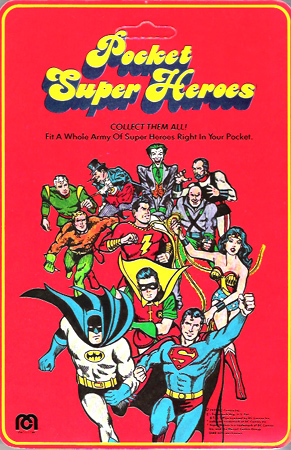 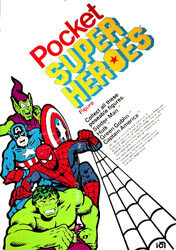 The red card backer and 1979 catalog promised Shazam, Penguin and Joker but they were never produced! 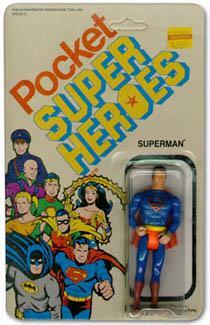 Figures included: Batman, Robin, Superman, Spiderman, Hulk, Green Goblin, Wonder Woman, Aquaman, Captain America, and Lex Luthor, General Zod, and Jor-El in a loose tie-in to the Superman Movie. 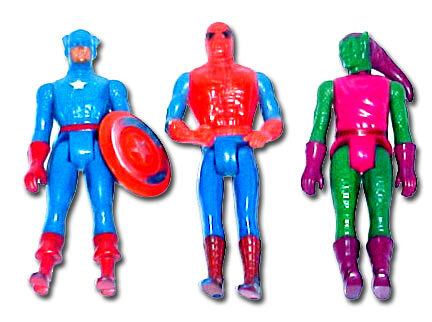 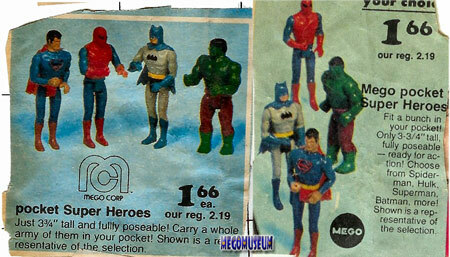 The figures came on three varieties of Mego cards : Red, White, and a "denim card" (not pictured) which had a blue jean "pocket" background and different (very cool) hero art. . For more pictures of carded Pocket Heroes click here. 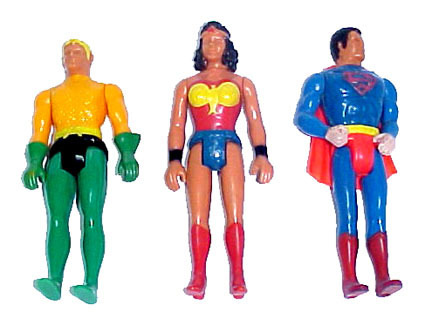 Aquaman, Wonder Woman and Superman. 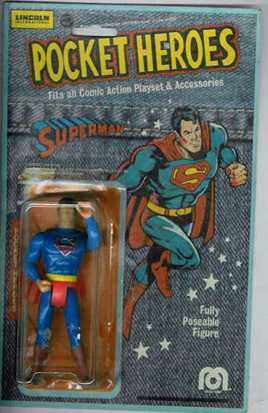 Wonder Woman is a completely resculpted figure, her top no longer is removable like her CAH counterpart. 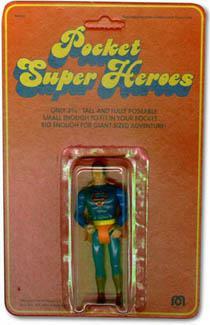 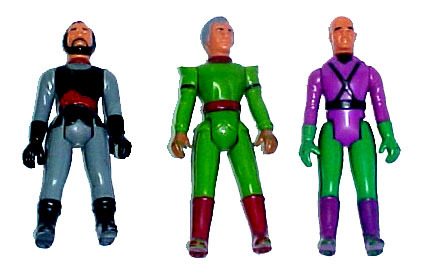 Zod, Jor El and Lex Luthor were released only in the first wave and were poor sellers.